These exercises are only of any use for those, who already have some knowledge of Spanish. If you do not know the terms imperfect, indefinido, subjuntivo, objeto directo etc. etc. yet, we advise you to first check the grammar sites. There you will find a full and easily written Spanish grammar. The exercises are meant to practice what the forms that are explained in the grammar part. As we already have mentioned in the grammar pages, we recommend to first study the forms. Then try to understand it passively, for instance, when listening to a conversation. It is much more difficult to use them actively. These exercises aim at the practice of when certain forms are to be used. We have tried to offer a complete presentation of Spanish language and dialects and language melodies from all over the world, and we will continue to do so. Here you will find audio samples of very different kinds. Short stories from Argentina, read by an Argentine; philosophical essays, read by a Madrileño; Spanish literature, read by a Valenciana; poems etc. And, last but not least Spanish folk music. Since this folk music is not only very beautiful, but also very important to the Spanish, we could not miss these here. 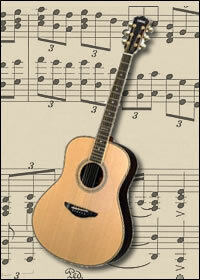 You will find about 60 songs, professionally played and sung with didactic remarks for easier learning. And, if you think of it; just listening a few times to the songs and not only the music will catch you, but you will also catch the words and therefore expand your vokabulary. To the stories, poems and songs etc.